The weather outside is frightful, so why not warm yourself up with thoughts of spring – and join us as we start rehearsals for our spring concert season! Rehearsals begin Tuesday, January 20th! We’re already excited about this season’s repertoire! Our intrepid Director Molly Webster says that it’s going to be centered around the theme of LOVE and it includes some Billy Joel! Maybe some Foreigner? 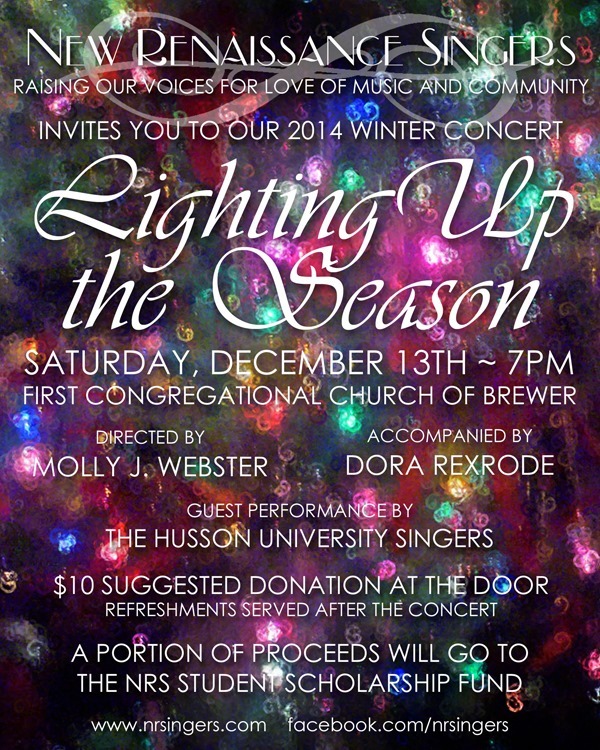 And no doubt some other really awesome choral music. 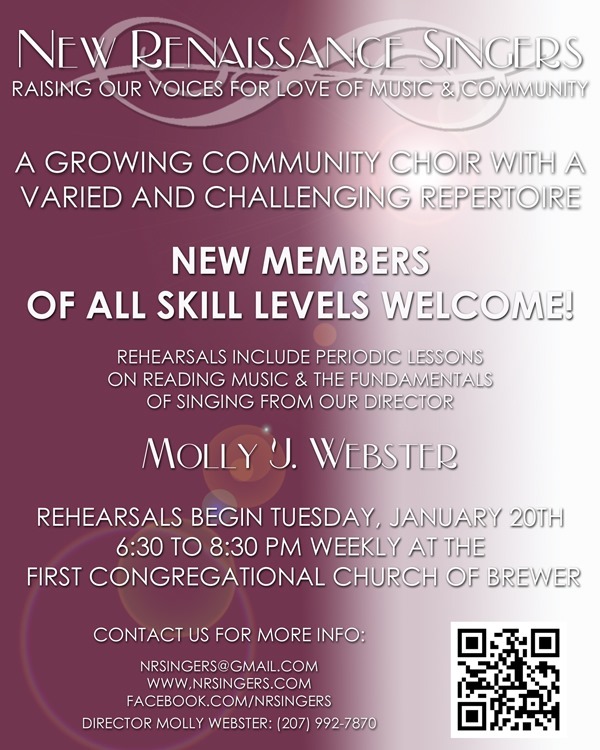 New members are welcome to join us, and if you’re considering joining, but aren’t sure, you’re invited to come listen in on a rehearsal or two and see if it’s something you might like. The songs are usually a mix of easier and more challenging pieces, and even if you’re not comfortable with your ability to read music, Molly is a great teacher and you will learn a lot, and probably surprise yourself!